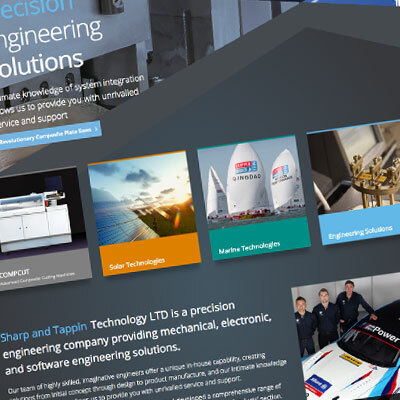 Sharp & Tappin is pleased to announce that our new and refreshed website is now live. Our new website includes changes to the navigation and menu system, is mobile and tablet friendly and is now much more intuitive. We have improved the structure of the content so you will gain more from a quick read, and swiftly be able to locate the information you want. When we started out on this journey we wanted create a new site that made our clients the heroes; showing the products and services that we supplied to help make their aims and goals a reality and a success. So through the various case studies shown on this new site we hope you gain a good understanding of all the capabilities we can offer, and about how we can help you turn your concepts and ideas into reality. We hope you like these changes, and if you have any feedback please let us know.